Your career choice is one of the most important decisions you will make. 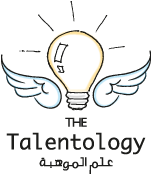 Talentology can provide you with guidance and ideas for your career. "The Chinese philosopher Confucius had it right 2,500 years ago: 'Choose a job you love, and you will never have to work a day in your life.'" Imagine a job where you have the opportunity to do what you do best -- every day. What would that job look like for you? Who would you work with, where would you work, and what type of activities would you be doing? Finding a job that is a good fit for your talents is a key part of the career exploration process. 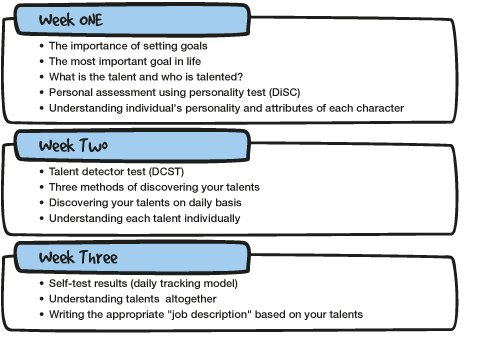 "Gallup research has found that employees who have the opportunity to use their strengths are six times as likely to be engaged in their work and more than three times as likely to report having an excellent quality of life than employees who don't get to focus on what they do best." A program focused on discovering talents and building lives around those talents. Most organizations remain startlingly inefficient at capitalizing on the strengths of their people. Alarming though it is to learn that most organizations operate at 20 percent capacity*, this discovery actually represents a tremendous opportunity for great organizations. To spur high-margin growth and thereby increase their value, great organizations need only focus inward to find the wealth of unrealized capacity that resides in every single employee. 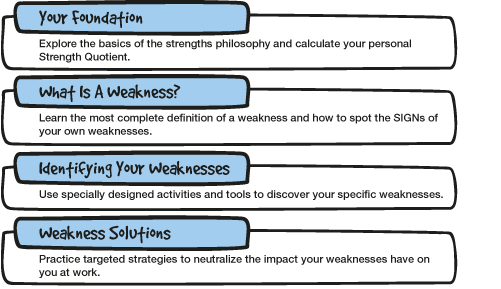 Why their strengths aren't "what they are good at" and their weakness aren't "what they are bad at". The simple steps they can take each week to push their time at work toward those activities that strengthen them and away from those that don't. 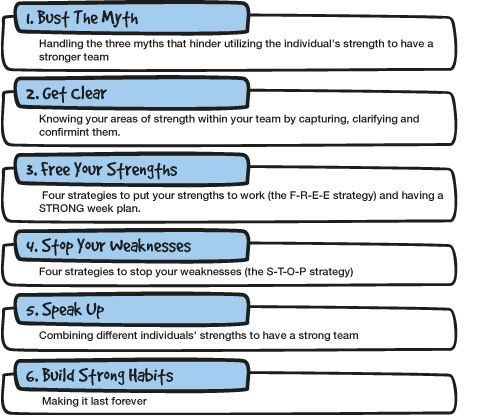 How to talk to the boss and colleagues about their strengths without sounding like they are bragging and about their weaknesses without sounding like they are whining. The fifteen minutes weekly ritual that will keep them on their strength path your entire career. 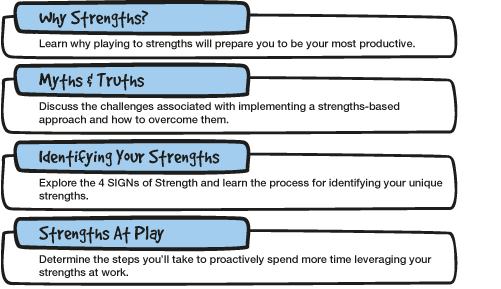 This fun, challenging, interactive session increases self-awareness and provides tools to help everyone identify and leverage strengths at work. Who am I is a mind opening workshop which aims to help youth in discovering their talents by revealing the type of job and university major that suits them and utilizes their hidden talents. 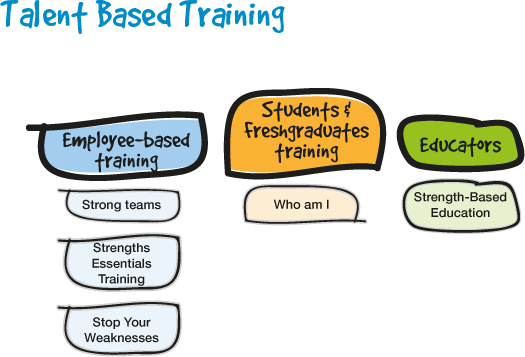 Who am I training helps employees apply their talents in their work environment which leads to enjoying their job as well as increasing their daily productivity at work.